As a Millenial, I was raised on Disney-fied versions of Grimm’s most famous fairytales. I loved these innocent tales with their neat, happy endings…when I was six. As I got older, I craved darker tales. It wasn’t until college that I bought a leather-bound volume of Grimm’s fairytales and fell in love. So how exactly is Grimm’s Cinderella different than Disney’s? Not only does Cinderella’s stepmother force her to tend the fires, she also tosses Cinderella’s supper of peas into the hearth, forcing her to eat the dirty peas or starve. This is how she earns her monicker. When Cinderella wants to go to the ball, there are no furry friends to help her make a dress and a fairy godmother doesn’t come to her rescue. Cinderella asks her stepmother if she can go to the ball. Her wicked stepmother says that Cinderella can go…if she can find and eat all the peas she tosses into the ashes. 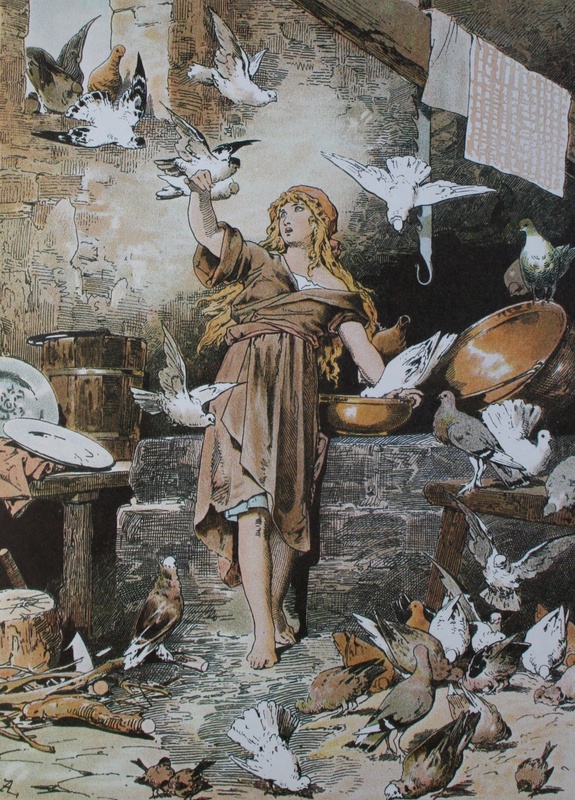 Birds swoop in to help Cinderella eat the peas, but the stepmother doesn’t hold up her end of the bargain. The birds lead Cinderella the to the beautiful gown that she wears to the ball. It’s hanging on a tree above her mother’s grave. Creepy. So if you’re sick of Poe and in desperate need of some dark Victorian Romanticism, I highly recommend giving Grimm’s fairytales a read. Once you’ve finished, check out The Fairytale Keeper and The Countess’ Captive to see how I’ve incorporated this famous fairytale into my award-winning Medieval fiction series. 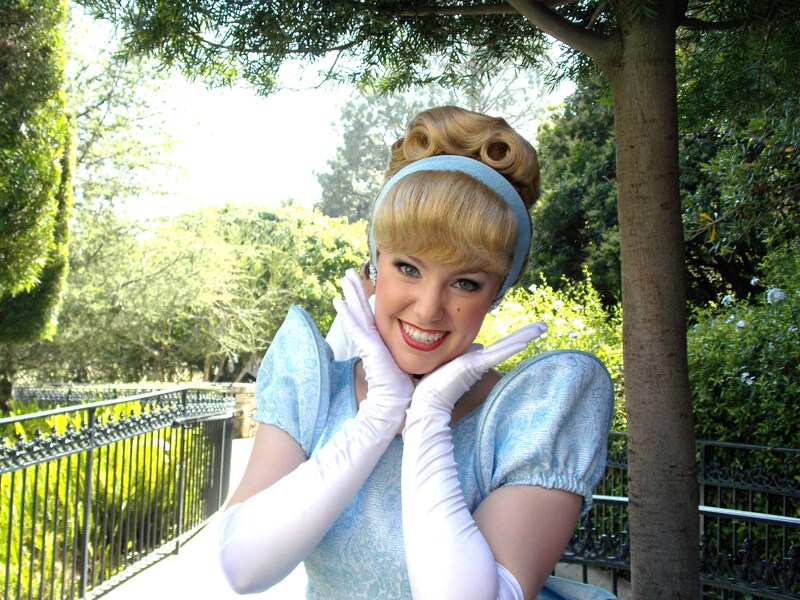 This entry was posted in Disney Princess, Free, Grimm's Fairy Tales, Historical Fiction, Retelling, Young Adult Fiction and tagged brothergrimm, Cinderella, Fairytale, Folklore, Grimm on July 15, 2012 by Andrea Cefalo.